Store the sounds that are downloaded every time a pack is downloaded. This will allow us to tell you which sounds (and with which licenses) were inside a pack when you downloaded it. 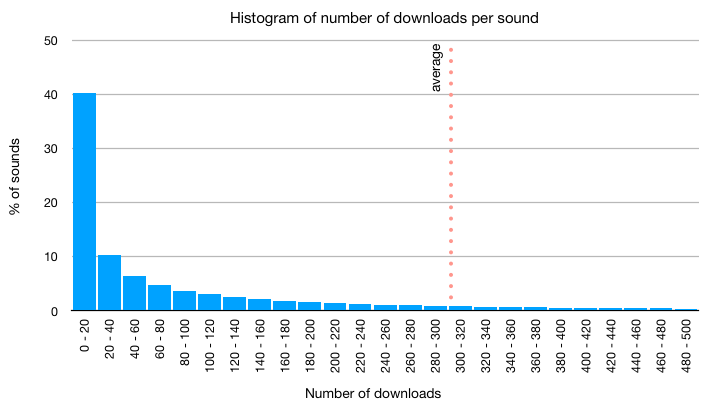 Change the way we store the count of downloads that you make. New anti-spam measures to prevent spammers from using “about” and “URL” profile fields for spamming. Currently we show a warning when including images from non-HTTPS locations in sound descriptions. Now this warning is extended to other fields that also support including images. Aaaaand that’s for February. Thanks for reading and stay tuned for the next post! Username change: from time to time we receive requests from users that want to change their usernames. Until now this was not available as an option and we only did it manually after support requests. From now on, you’ll be able to change your username from your settings page. Even if you change your username, posted links to your sounds, packs, etc., will still work (we redirect to the new username). Nevertheless, please don’t go and start changing all your usernames now, 99% of your usernames are certainly really good! This is only intended for special occasions. Also, note that you can only change your username a number of times and that, when changed, you won’t be able to go back to your previous one. Store all the times you download the same sound as different records. In this way, in the future we’ll be able to tell you in which dates you downloaded a specific sound and with which license. Improvements in our admin interface to manage API applications. Updates in the documentation of the API. Improved processing of HTML content in forum posts, sound/pack descriptions, about field and forum/sound signature fields. Add a link to the sound moderation ticket from the sound page (only if you are the author of the sound or a moderator). Here we are again with our monthly community update about things that have been happening in the Freesound dev world. Looks great, doesn’t it? The design phase for the new look and feel has already finished, and we have just started the actual implementation phase. During the design phase, the goal has always been to update Freesound’s look while preserving existing functionalities and workflows. It is still too early to reliably estimate a release date, but we’ll keep you posted. Exciting, isn’t it? Aaaand that’s it for now, thanks for reading and stay tuned for the next post! 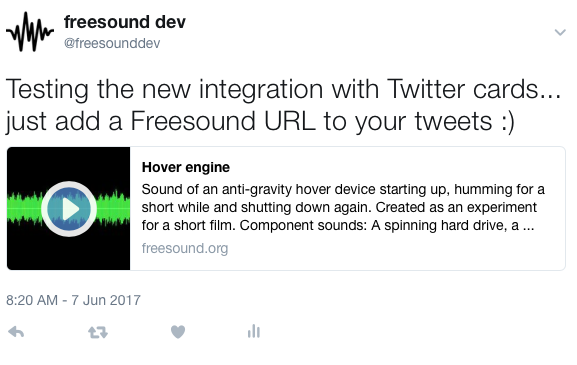 We’ve been working hard on Freesound lately and have some news to share with you. You’ll remember that earlier this year we started a campaign to promote donations in Freesound. We had a public discussion in the forums where many of you participated (thanks! ), and we finally started the donations campaign in July 2017 (see this forum post for details on the campaign). We’re now getting 15 times more donations than we used to get before starting the campaign which is a great start! It moves us closer to our sustainability goal and it has already allowed us to start spending more time and resources on improving Freesound for all of our users. Thank you all! Donations via stripe. Some potential donors didn’t want to use Paypal to send donations to us. As an alternative, we added support for donations by credit card using Stripe. Support for AAC files (.m4a extension). 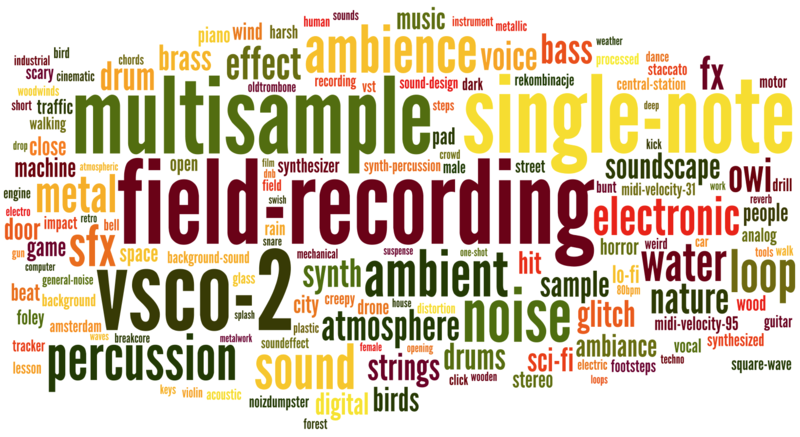 You can now upload sounds encoded using Advanced Audio Coding (AAC). AAC is a lossy audio compression standard designed to be the successor of MP3. Even though we still prefer sounds to be upload using uncompressed formats or non-proprietary formats like OGG, we’re sure that AAC support will come in handy for many Freesound users. [EDIT 20/10/2017: user guyburns reported that lossless m4a files are also supported but that there seem to be problems detecting the number of channels]. Faster random sound navigation. We’ve always had the ability to randomly browse for a random sound in Freesound. Now this is faster, try it today! 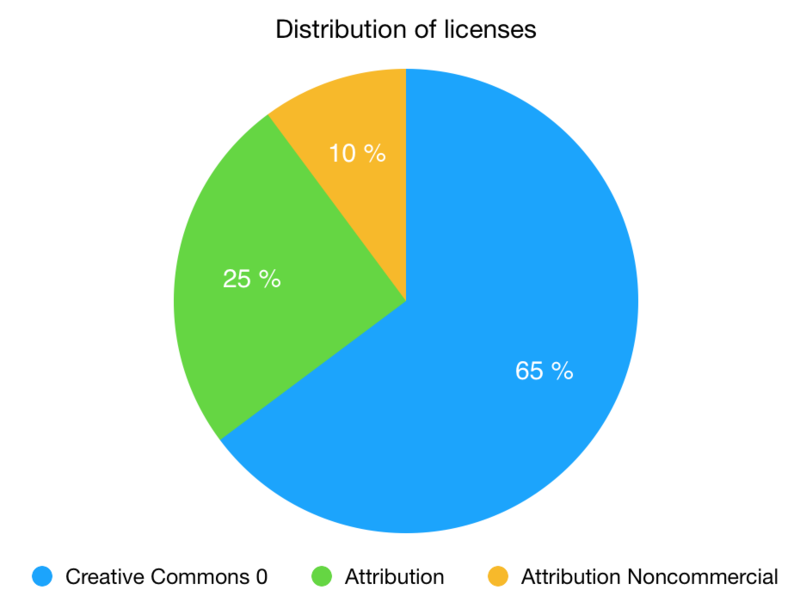 Sound license history. We now keep track if a sound uploader changes the license of their sound. This is important because you may have downloaded a sound under one license, and when you go back to check its status some months later the license may have changed! We will now tell you what the license was when you downloaded the sound so that you can be sure of your rights and obligations. We now keep a record of what the sound of the day was each day. Do you want a throwback to what the sound of the day was on a particular day of the year? We’ll be able to tell you! If you forget your password and your email address you can now reset it using just your username, much the same way that you can log in with both your username and email. If you’re uploading many sounds at once with a geolocation, we now remember the last location that you added so that you can quickly add the next. We’re making changes to move Freesound to a full HTTPS setup, protecting you when you enter passwords when logging in. We’re fixing small programming errors that have accumulated over years of Freesound development. If you’ve ever got a message saying “You found some part of Freesound that’s broken”, then don’t worry, we get a notification of the error and we’re working to make sure that these errors happen less for our users. Thanks for reading and keep on Freesounding! On Monday 3rd at 10:30 a.m. CEST Freesound will be down for approximately two hours while we perform some maintenance on our servers. We’re sorry for the inconvenience this may cause. EDIT 8/6/2017: email sending is back to normal. We’ve resent emails with activation codes to all users that registered during the period while the email service was not working properly. As some of you reported, Freesound is experiencing problems with emails. We have identified the issue and worked out the fix, but are still waiting for our email provider to do some extra stuff. We hope that email sending will go back to normal in the following hours. After all email problems have been fixed, we will re-send activation emails to those users who registered after the problems started and could not activate their accounts. Login with email: from now on you can login to Freesound either using your username or your email address. Might not be a game changer, but will certainly be helpful for many users.